Online Giving is an easy and convenient way to support the ministry of Parkway Presbyterian. 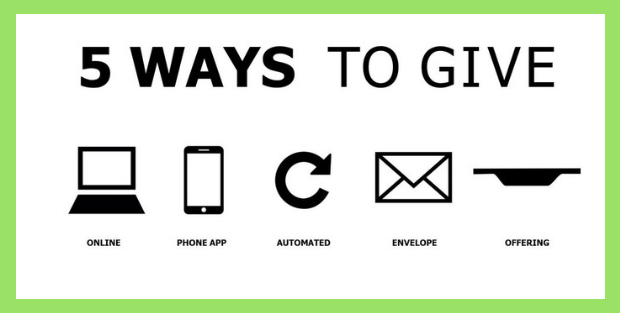 The benefits of using Online Giving include the convenience of being able to give from anywhere at a time that is convenient for you, not having to write checks, and the ability to set up recurring donations so you don’t miss an opportunity to give when you are away from the church. Want to start giving online? If you would like to use your cell phone to give money towards a fund, you simply TEXT the word 'parkwaypc' to 73256. You can then choose the appropriate fund: pledge, flowers, food basket, etc. **The first time you give via text you will enter your credit card or banking information. 2019 Annual Pledge Card - Click here to fill out pledge card online.